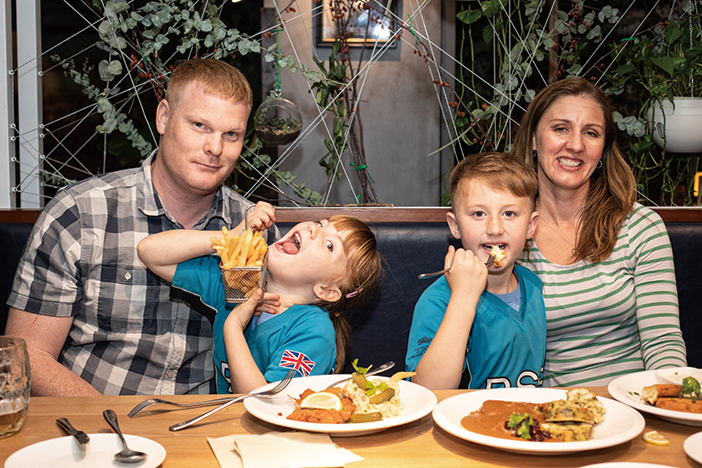 There were schnitzels, goulash, and crème brûlée lavishly spread out for the Thornton family to tuck into, at the number one spot for Czech cuisine in Beijing. Prague Restaurant is the perfect place to get familiar with the diverse and delectable cuisine of a country steeped in rich culture and history. 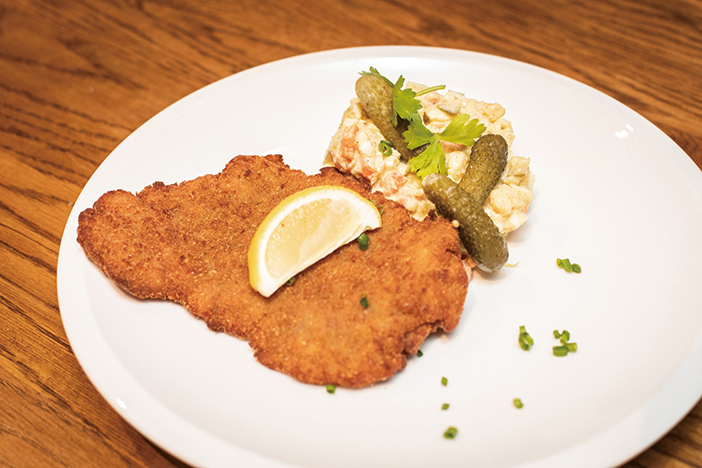 It may never have occurred to you to take the family out for Czech food, so there’s no better time than the present to introduce you to the wonderful culinary world of Prague, through the exceptional offerings on the menu at this issue’s Dining Out restaurant. The Thornton family, although originally from Minnesota, have traveled from sunny Orlando, Florida to take up residence in Beijing. Emily is married to Conor Thornton and their two kids, Robert and Lucie, attend The British School of Beijing, Sanlitun (BSB Sanlitun). Conor is a Facility Design Manager with Universal Studios, and Emily, a former preschool teacher, is enjoying expat life here and keeps busy by volunteering as a Daisy Girl Scout troop leader at BSB Sanlitun. The Thornton’s culinary adventure at Prague Restaurant was a daunting one for the kids, whom Emily described as picky eaters! The Thornton kids love to tuck away Saturday night staples like pizza, and enjoy steak, spaghetti, rice, fruit, and veggies! Neither of the kids is a fan of Chinese food, so this weekday outing was the perfect opportunity for the kids to try something new. Mom and Dad, however, are adventurous eaters and will try just about anything and everything. From start to finish the Thornton family were given the red carpet treatment. The entire staff was extremely pleasant and showed Mom, Dad and the kids around. The family was seated and introduced to the menu while the manager made some recommendations. 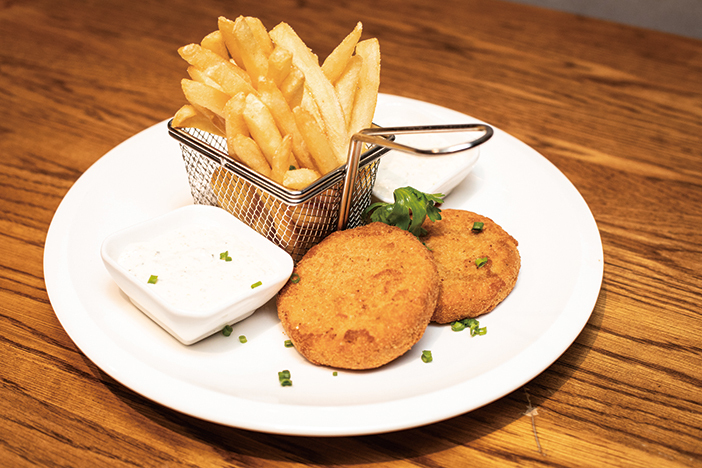 The Thorntons were presented with some of the restaurant’s signature and most decadent dishes, including Deep-Fried Camembert (RMB 69), Pork Schnitzel (RMB 59), Goulash Soup in a Bread Bowl (RMB 49), and the Slow Cooked Braised Beef (RMB 89) in special gravy, perfected by Chef Martin. Mom and Dad enjoyed everything, while Lucie loved her fries and soda, and Robert demolished the Fried Camembert and the Vanilla Crème Brûlée (RMB 32). Everything was beautifully presented and the portions were just right. The environment is family-friendly and intimate, with a space designed to be inviting and warm. There’s also a little light entertainment for the kids, with the Czech national mascot taking up residence on the first floor of the restaurant. The mascot is a replica of one of Czechia’s most famous cartoons, Mole, created by Czech animator Zdenek Miler. After fried cheese, get the kids and go and say hello! And maybe learn a few phrases in Czech to impress friends at school. Mom and Dad were so impressed with their culinary journey through Prague and the excellent service that they returned just a few days later to enjoy beer pong! Yes, you read right; if awesome, delicious Czech food isn’t enough to entice you to try something new and exciting, then you’ll always have beer pong to fall back on as an excuse to jump on the express train to Prague.